This is the best "How They Train" piece yet on the sport of biathlon and the training regime of the current United States Olympic Biathlon Team. Naturally biathlete Lowell Bailey gets in a wink. The kid is alright! It's what for dessert after a big day skiing toe deep powder! 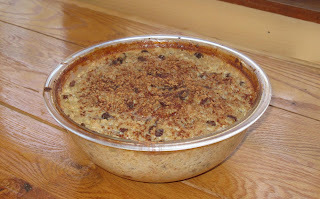 The healthy Adirondack lifestyle includes brisk January ski days topped off with warm and fragrant comfort food like this rice pudding made with brown rice and sweetened with honey.